A couple of weeks ago, I wrote about why entrepreneurs need mentors. From that post, several people contacted me asking where to find business mentors. Great mentors can be found a variety of places. This week, we’re sharing some suggestions on where you can find them. When looking for a mentor, it’s important to find people who you trust. So, start with your most trusted circle of family and friends. Let them know what you are working on and what your business needs are. 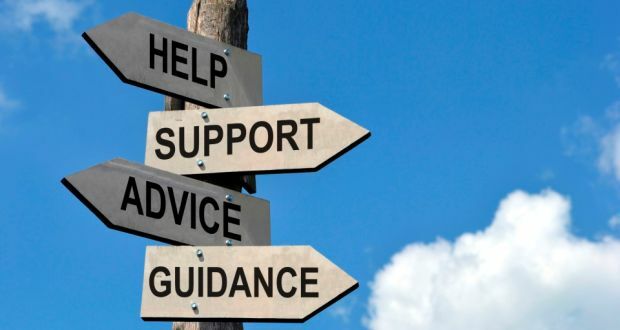 You may find you have a friend or relative who has experience starting a business or who has specific expertise in areas of the business where you need help. If your friends and family don’t have the relevant experience, they may be able to provide recommendations and referrals to other people who can help you. In your local area, there may be chambers of commerce, trade associations, entrepreneurship centers, co-working spaces, or various meetup groups that can provide opportunities for you to expand your professional network. Look at the calendar of events at these organizations. They frequently hold in-person networking and other events designed to connect people with each other. Get out to some of those events and talk to people about your business – you may find a connection to a good mentor. In addition, there are a ton of social media groups on Facebook and LinkedIn that provide an online outlet for business owners to virtually network with each other. Don’t be afraid to approach owners of other businesses in your industry. Obviously, you’re not going to get much information from business owners who might see your business as a direct competitor. Instead, seek out businesses in the same industry that are targeting a different market segment. For example, if you’re looking to wholesale your skin care products, you may want to approach someone who is wholesaling hair care products as they might be able to offer insights on how to enter the wholesale market for beauty products. Or, for example, if you’re planning to open a storefront, you might reach out to an owner of a similar business in a location outside of your region. The U.S. Small Business Administration (SBA) supports several programs that provide business advising services. Local Small Business Development Centers (SBDCs) provide long-term, in-depth, no cost advising for existing businesses and certain startups in their regions. The SCORE Association, supported by the SBA, is a nonprofit association with regional chapters of volunteer business counselors who provide free business mentoring and low to no-cost business training. Through the SBA’s local partner network, there are also business development centers that provide advising specifically for women, minority, and veteran owned businesses. There are several online platforms, such as BusinessAdvising.org and MicroMentor, that can help you find a mentor. With these platforms you can create a profile and identify your business needs, and they will match you with a qualified advisor to work with for free. Advisors on these platforms are volunteers who have specific functional expertise in marketing, sales, manufacturing, human resources, finance, or general business management. Advising usually takes place over the phone, email, or Internet. Entrepreneurship programs, accelerators, and incubators offer programs to support entrepreneurs in launching and growing their businesses. Within these programs, entrepreneurs typically receive access to mentorship from experienced business owners. To find entrepreneurship programs, we recommend doing a Google search for “business accelerator,” “business incubator,” or “entrepreneurship program” in your city or region.